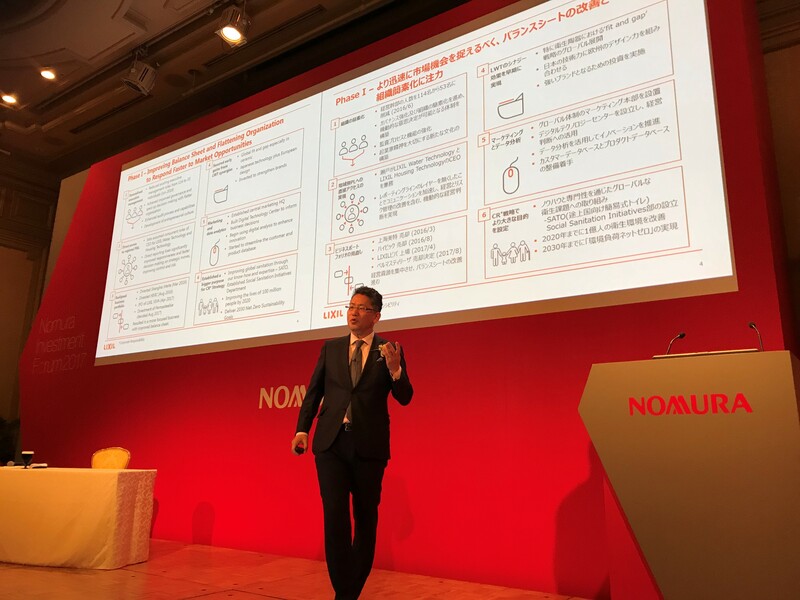 Our President and CEO, Kinya Seto was invited as a speaker of the Nomura Investment Forum 2017 on November 30, 2017. 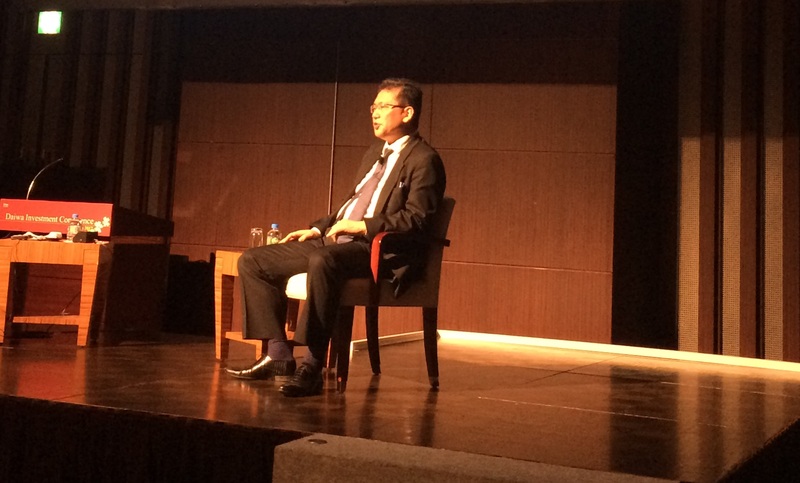 He presented LIXIL Group's Medium-Term Strategic Plan followed by Q&A session with the audience. Our Executive Vice President and CFO, Sachio Matsumoto, was invited as a main speaker to the Goldman Sachs Industrials Conference 2017 on November 14, 2017. He presented LIXIL Group's corporate profile and growth strategy followed by a Q&A session with an analyst from Goldman Sachs and the audience. Our President and CEO, Kinya Seto, was invited as a main speaker to the Daiwa Investment Conference 2017 on March 1, 2017. 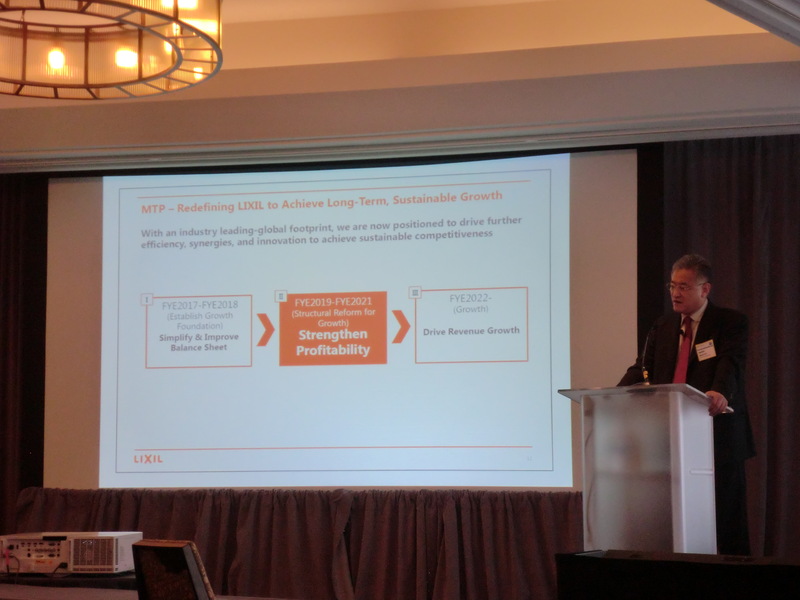 He presented LIXIL's growth strategy to more than 100 domestic and overseas investors, who participated in the lively and engaging session.